Janet and Jon Gibbens are the most enthusiastic native gardeners we know. 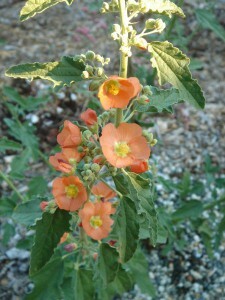 Their Distinguished California Native Garden in San Jose was the first to be featured in the CNGF Newsletter. Here, in their words, is how their garden came to be. 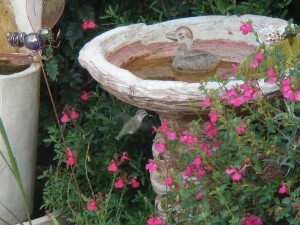 “We started our garden in 2006 with nothing but a weedy lawn front yard and a clumpy all dirt backyard. We worked every month to analyze and strategically choose the new landscape for both the front and back yards. “The first year, we patiently killed all the grass in the front yard using cardboard and newspaper topped with mulch (that came FREE from local tree trimming services). “The second year, we excavated paths in the backyard and moved the the clay dirt to the front to form planting berms. The paths in the back were filled with more free mulch and we created a “no weed” yard (no dirt, no weeds). 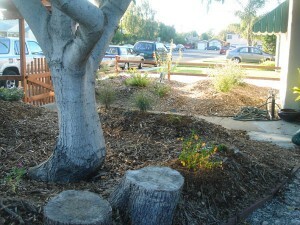 “The third year, we planted the front yard native garden and the back yard lawn replacement meadow. 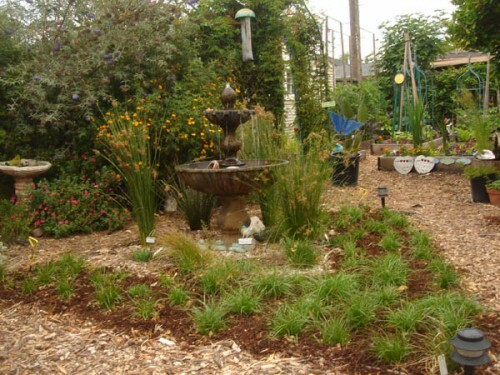 “At first, our reasons for considering California Native plants were: low maintenance, low water, and especially the idea that we could rid ourselves of both lawns (i.e., no lawn mowers). To rid our household of lawns meant: (1) eliminating the weekly familiar sound of the mower, therefore creating an area of peace and quiet (minus the other neighbor sounds); (2) immediately impacting our environment by the lack of emissions to the air; and (3) removing the need for storage. (Free up space in the garage! Yeah! That’s a positive in itself!) We officially gave away our lawnmower in Jan 2009. For pictures of the before and the after, the cats, birds, and bees, the veggies, the chickens, and lots more, go to the Gibbens’ web site. We at CNGF think that the Gibbens are very special people and their enthusiasm is inspiring!